Liverpool have the second highest wage bill in the Premier League, but the club are finally reaching a stage where they are getting the best bang for their bucks. 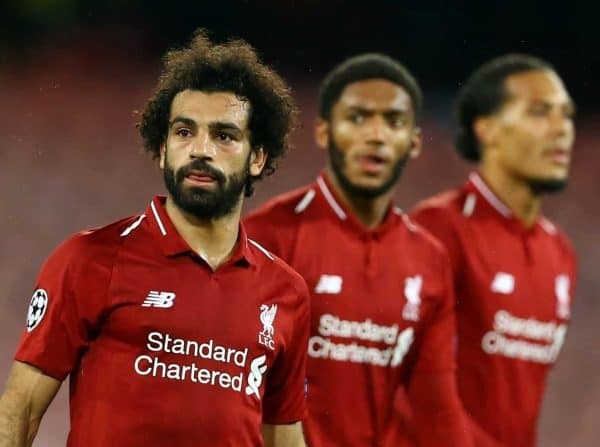 Football clubs are always in transition – or should be, and Liverpool’s evolution in recent years has meant they are now hanging around at the top of the table. Not only are they topping the Premier League on a regular basis in recent weeks, but they have also found themselves near the summit of another one — the wages table. 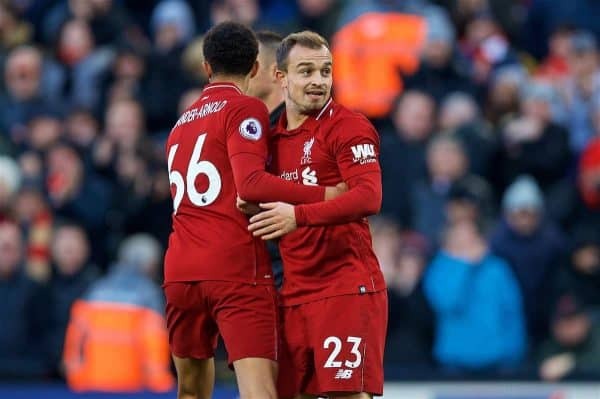 The Reds’ wage bill now stands at £263 million according to the figures from the 2017/18 season, compared to £206 million the season before – a substantial increase of £57 million. This takes them above Man City in this particular table, but they are still some way off Man United‘s £296 million. It’s no surprise that clubs that spend more on wages, even more so than transfer fees, are the ones which are successful, but spending needs to be done in the right way and not just for the sake of it. Signing expensive players doesn’t make a team better, signing quality players does. While quality players don’t always cost a lot in transfer fees, they will always, eventually, cost a lot in terms of their salary, but they are a worthwhile investment. A club doesn’t win titles because it has a high wage bill, they win titles because they have good players, and good players need paying well. 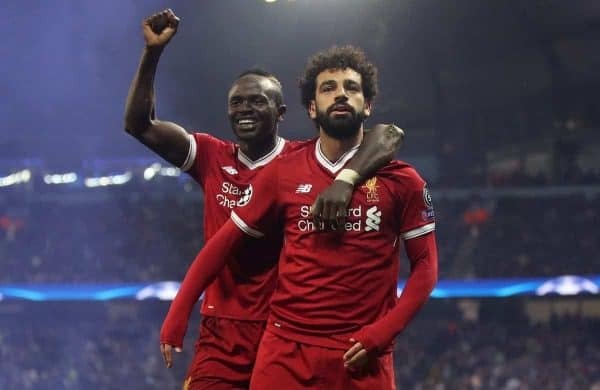 Liverpool have turned a corner in this respect, rewarding players who understand the club, perform consistently at a high level, and inevitably attract interest from across Europe, with the contracts they have earned. Joe Gomez (2024), Trent Alexander-Arnold (2024), Andy Robertson (2024), Jordan Henderson (2023), Sadio Mane (2023), Mohamed Salah (2023), and Roberto Firmino (2023) have all signed new deals within the past year. Add to this the arrivals of Alisson (2024), Fabinho (2023), Naby Keita (2023), and Xherdan Shaqiri (2023), plus Virgil van Dijk (2023), and you have a group of around 12 key players who have wisely been signed up to long term contracts until at least 2023. Once the club knows it has a special player on its hands — one they know fits the style of play and the club’s ethos — they have no qualms about rewarding them with a new deal on higher wages. That first group of players are the example of this. It’s difficult to remember the last time Liverpool signed an expensive dud. There have been few if any under Jurgen Klopp, so they will have more confidence when offering new signings decent wages to begin with. The club appears to have fine-tuned their recruitment process over the years, judging character as well as attributes and style, creating ideal player profiles for each role in the side, which again gives them the confidence they need to offer better wages. All of this explains why Liverpool’s wage bill has risen so much in the past year, but at the moment it is also artificially inflated due to a hangover from the previous regime. There are a number of players left over from the Brendan Rodgers era, when it’s safe say management and recruitment weren’t quite on the same page and the identification of players for the style of play wasn’t as good as it is under Klopp. That could be due to a less defined style under the previous manager(s) or poorer recruitment, but it’s probably a combination of the two as they go hand in hand at the top level. Most of these players are now merely backup, don’t fit the system, and rarely get games, while some don’t even make the first team squad. The likes of Lazar Markovic (seeing as the figures are based on 17/18), Alberto Moreno, Simon Mignolet, Divock Origi, Daniel Sturridge and Adam Lallana are back-up players who no longer have a place in the side but are on first team wages. This is the area of the wage bill where the club are not getting value for money, but it’s also encouraging that there will be space for more suitable players in the future, once these players move on. On top of this, James Milner is one of the highest paid players at the club, and his contract expires this summer, so in total there is the potential to free up around £600k on the wage bill which, bar Milner, won’t affect the first team at all. 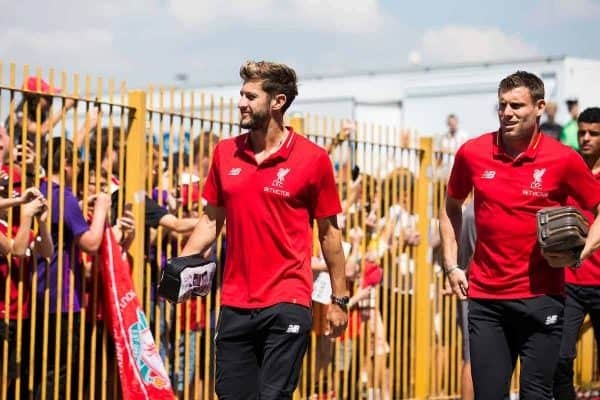 Until this happens, and these players are moved on to get the first team football which they themselves will no doubt crave (which has already happened in the case of Markovic) then the club’s wage bill will remain in transition where there are almost two groups of players of first team wages. This high wage bill has been offset by the fact the club have recorded the largest annual profit ever recorded by a football club. The Champions League run and player sales, especially that of Philippe Coutinho to Barcelona, contributed to this and the money was also reinvested in transfer fees for new players as well as going towards a £50 million training complex in Kirkby. The club “made a pre-tax profit of £125m, up £85m from a year earlier,” as reported by the Financial Times. The club are doing two important things. They’re making money, but then they’re investing it back into the club in the right way when it comes to players and staff. This summer they should be in a strong position to sign the handful of extra rotation players Klopp needs. At times this season the bench has looked as strong as it has for some time, but next season it should look even better. Players coming off the bench should be in tune with those they are replacing, and even if they are not like-for-like they should still fit the system. With over half a million to play with on the wage bill, this should be achievable, and the club are now an attractive prospect for many players. More Xherdan Shaqiris, more Andy Robertsons, more Mohamed Salahs. More #boom and less bust. * Browse reported Liverpool contract expiry and wages here.